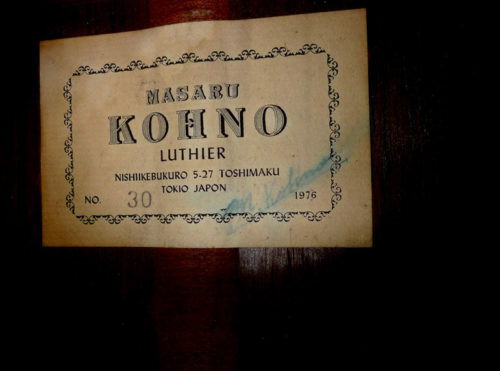 When this concert guitar was made in 1976, it was the top model offered by the master luthier Masaru Kohno– when he was at the very height of his career. In any case this guitar, was the top model made, when it came from the Kohno shop (correspondence from Masaki Sakurai confirming this, will be supplied). 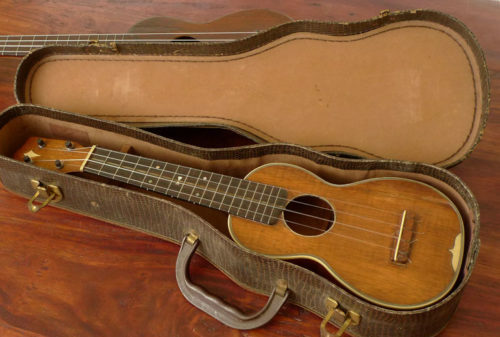 But the real proof is in the playing. 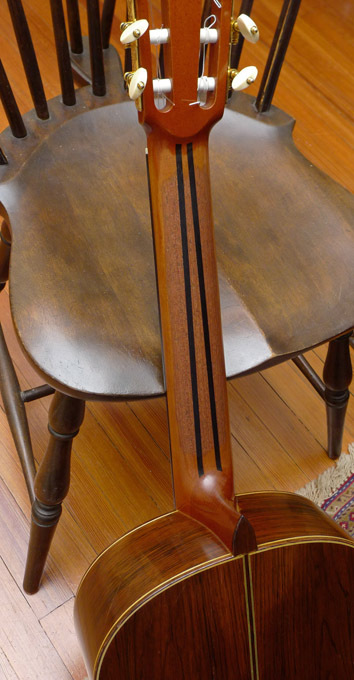 This instrument stands along with the best brazilian rosewood/spruce concert guitars from any maker, anywhere, any period. 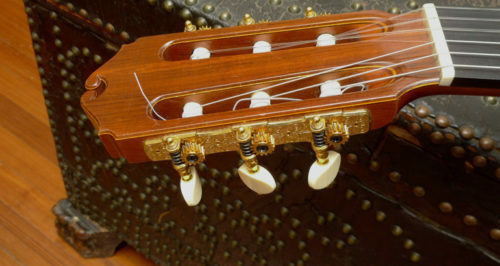 Crystal clear brazilian trebles. 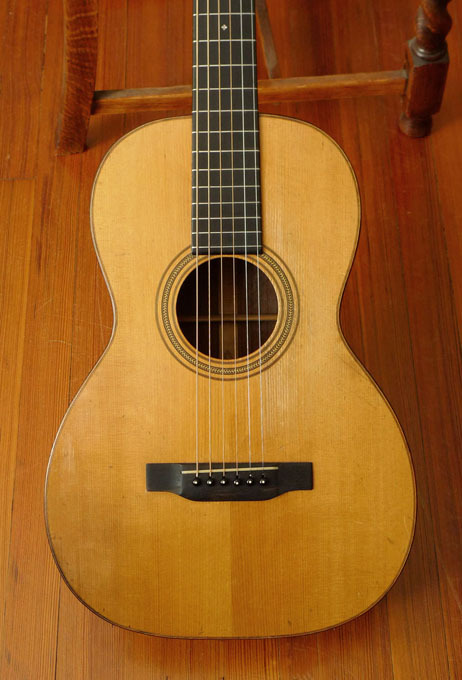 Wonderful resonance, combined with superior string separation. 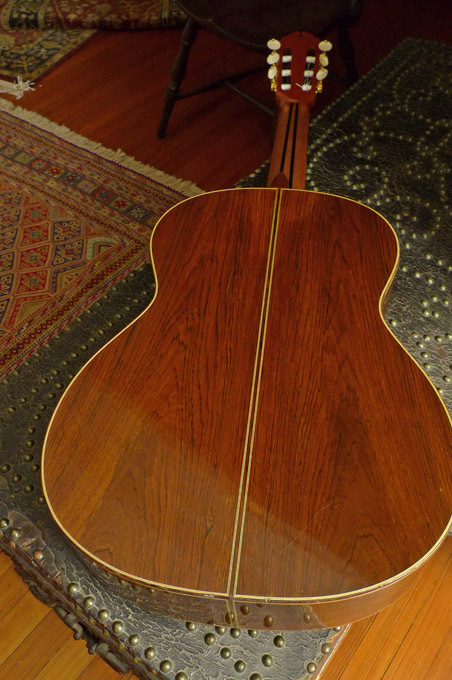 Crack-free top and sides. 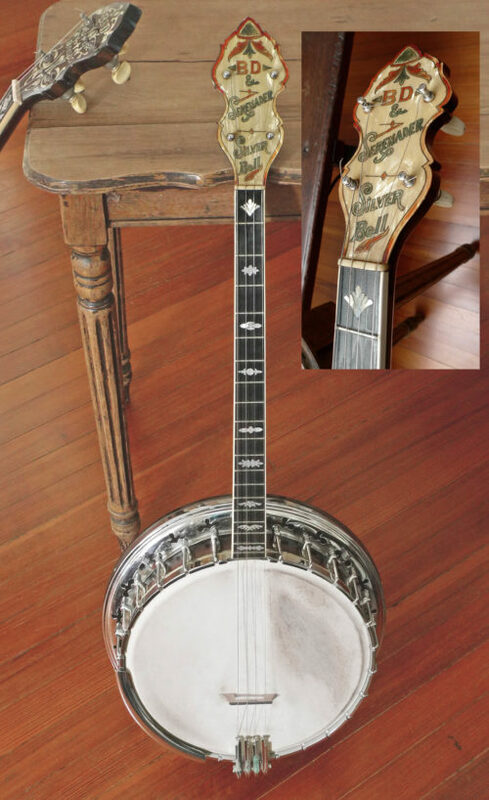 There are various nicks, dings, and scratches. 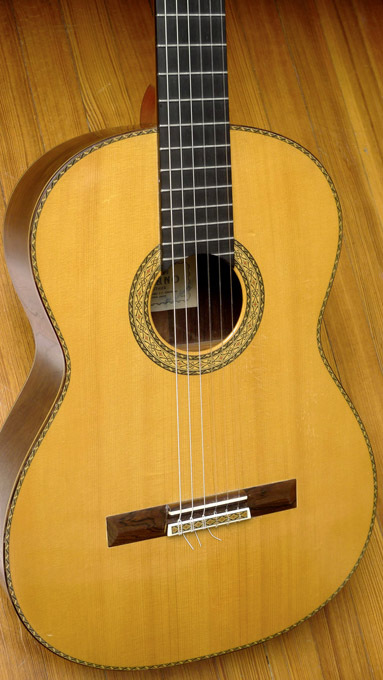 Finish is naturally worn off, through playing, on the center section of the back of the neck– giving it a very fast feel in the left hand. 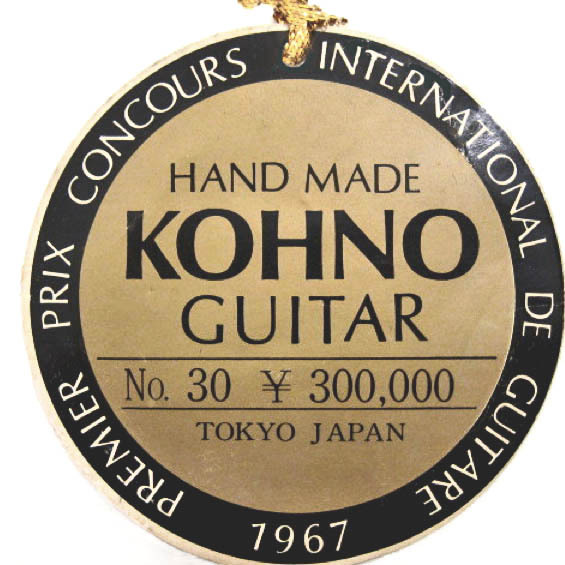 Note on Kohno playability: While short scale lengths are in vogue today, many “vintage” guitars from the great makers (Ramirez for instance with their typical 665mm or even longer scale length guitars in this era) especially from the late 60’s, 70’s, and 80’s, are longer scale. 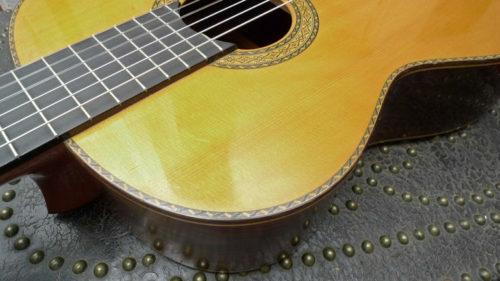 This guitar is a comfortable scale at 660mm, and it’s important to note: the original Kohno design, that is continued even in today’s models, was intentionally different from the high-end Spanish concert guitars of the day which had high action and beefy necks. From the Kohno factory the action was set low on guitars. 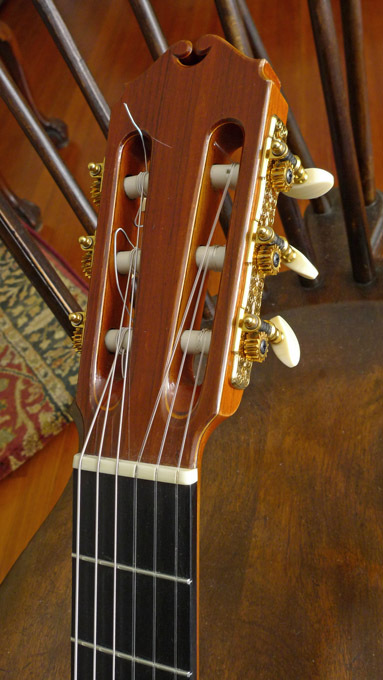 The necks were moderately thin in profile and shaped for very fluid playability. 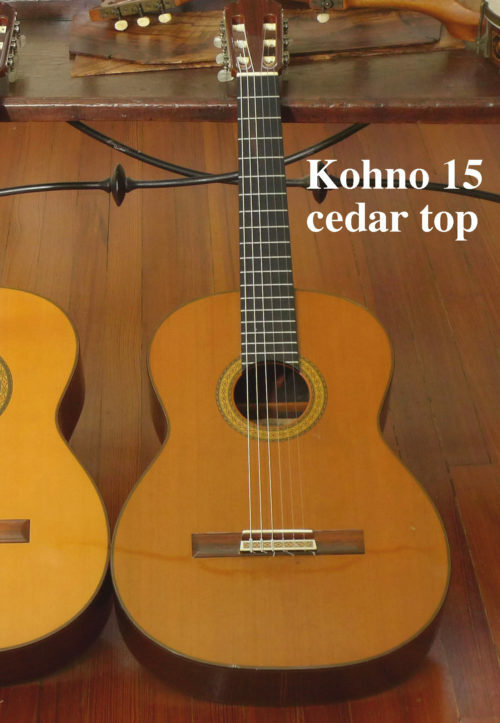 So at 660mm scale length, with its slim profile neck, this is an easy-playing Kohno.